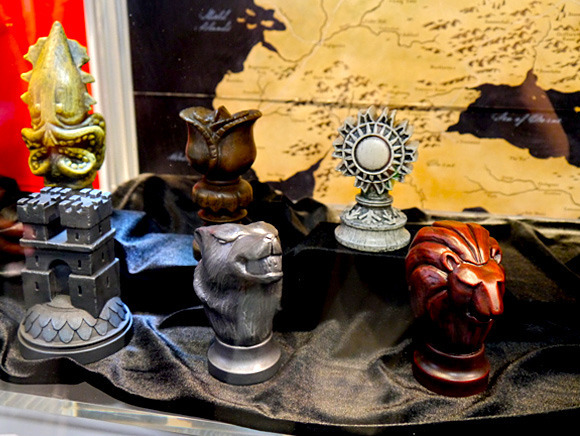 New Thrones Merchandise Pops Up at Comic-Con — Making Game of Thrones " "
Panels are informative, but you can't bring them home and play with them. 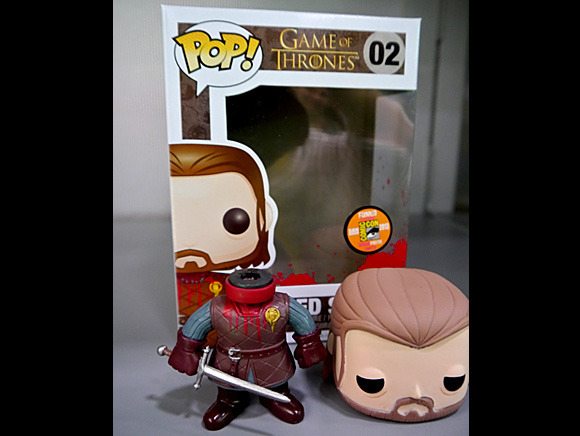 To satisfy that need, there are the 'Game of Thrones' products being featured around the exhibition hall. 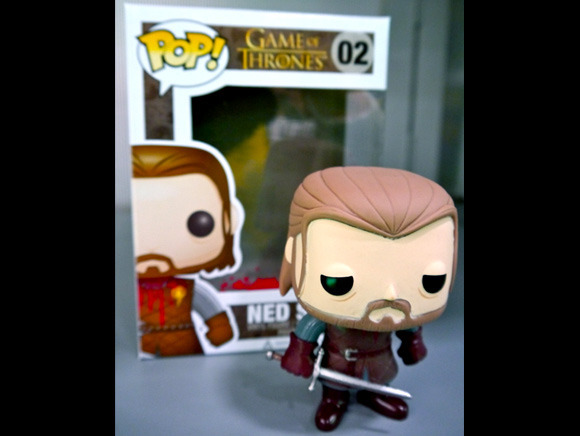 Funko's latest is already moving fast -- Ned Stark with a magnetic pop-off head. The limited quantities have been selling out each morning. Factory Entertainment has a cuddlier interpretation of the epic story with plush dragon eggs, direwolves, and a three-eyed raven on display. The booth for Dark Horse Comics features prototypes of their New action figures of Daenerys Targaryen (with dragon eggs) and Jon Snow, both available in January. Also in the offing, 'Game of Thrones: A Pop-Up Guide to Westeros' due in March from Insight Editions, for fans who want to make the Red Keep appear the same way it does in the show's title sequence. Not to be outdone, Diamond Comic has a 4D Cityscape of Westeros. 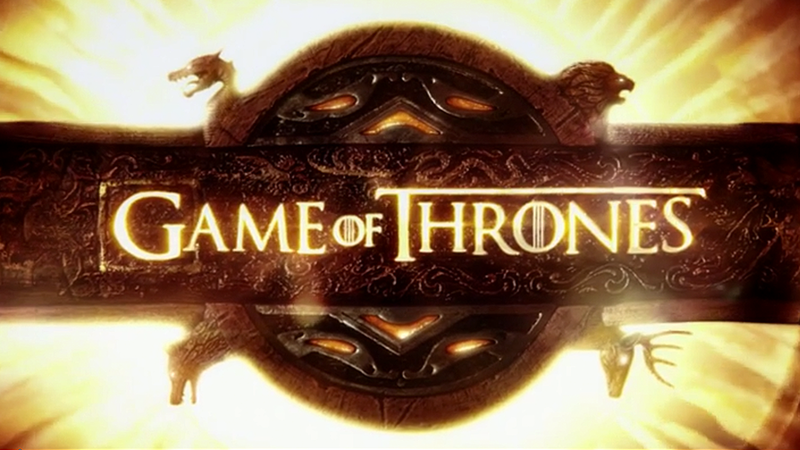 The 1500 puzzle piece has three different layers: the regions of Westeros, the terrain of Westeros, and the actual castles and landmarks of the series. If you didn't get a chance to check out these booths, get a look at the goods here.